Back at the 3 Sisters Race Circuit for the second race in a row but this time it was round 5 of the IKR Championship. 5 Honda's racing in a mixed class with 9 other engines. 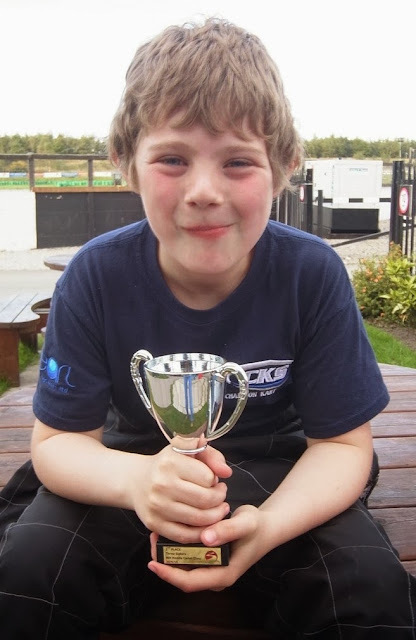 Samuel was on the Club circuit again and was determined to beat his best lap time of 48.05 seconds! He qualified as the second fastest Honda with a 48.140 lap, placing him 4th overall. In the first heat he retained 4th place and again was the second fastest Honda and knocked a bit more off his time - 48.096. Below is race footage from heat 1. Second heat he went even faster and set a 47.814 lap which was not just the fastest Honda but also the fastest Cadet from all 14 drivers! 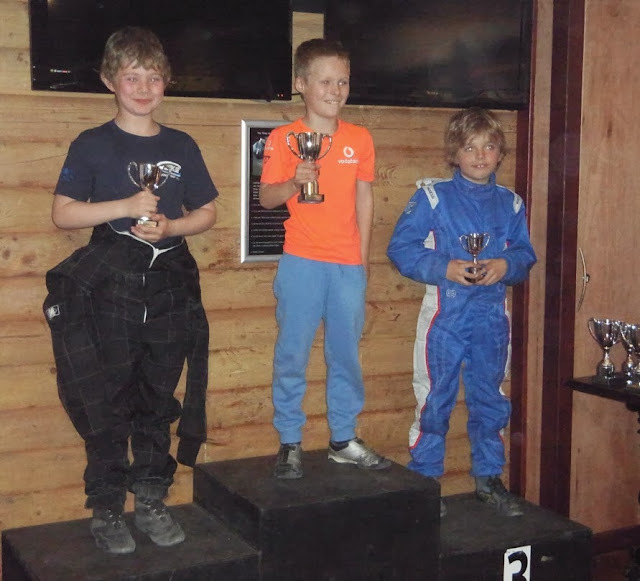 He retained his placings which meant he started in 2nd place for the Honda's in the final and was just under 3 seconds behind the heat winner which was Lee Chamberlain who Samuel regularly races with. And if you are keeping count, that is the 12th trophy of the year which equals the number he won for all of 2012!